At 5:15 am on the morning of 2nd August, our intrepid team gathered at the Codair offices and warehouse in Fordham to collect a fully loaded Transit van and an equally tightly packed horse trailer. Both contained a fantastic array of items collected by our staff and their friends over the previous few weeks. From hats to a hamster cage and paperbacks to a pancake maker, the diversity the collection was amazing. 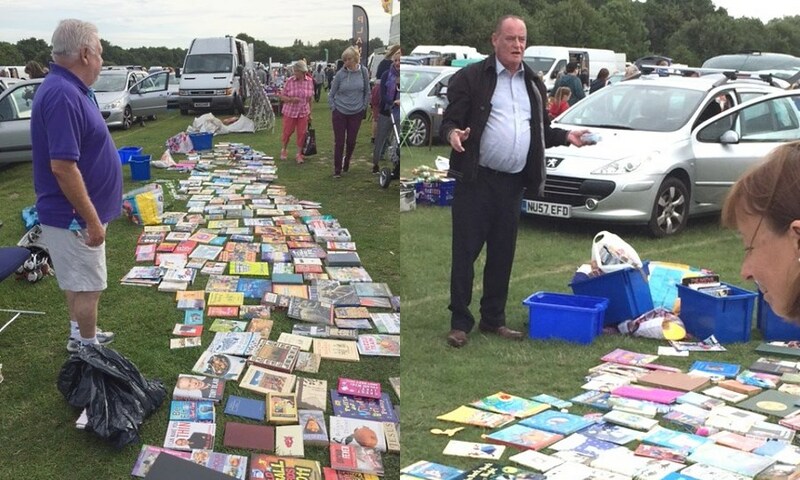 It was then off to the Marks Tey Boot Sale site. Arriving before the gates opened at 6 o’clock ensured a good pitch, not too far from the gate. Once the doors on the vehicles were opened and the eager buyers caught sight of the treasure trove they contained, the rush started! Potential purchases were immediately pored over and the buying frenzy began. Wallets and purses were opened and money started to fill the coffers as the early purchasers snapped up their prized items. As is the rule with all boot sales, things then started to calm down a little giving the team the opportunity to set out their stalls. About this time, the original team; Mandy Cant, Jodi Meadows, Helen Worby, Amber Callaghan, Terry Knight, John Dedross and Dean Barton were joined by Alan Halsey and Paul Roberts who had turned up to help. The merchandise was arranged into four categories. 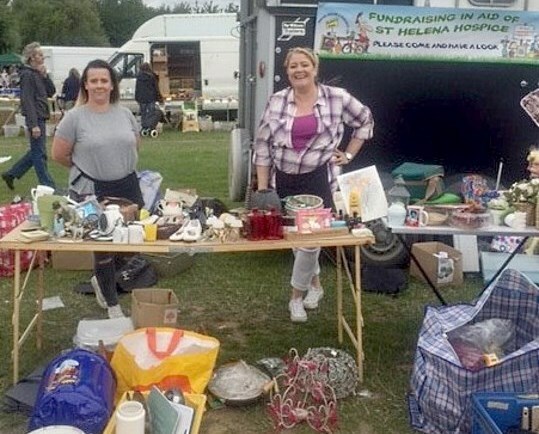 Mandy and Jodi carefully arranged their tables of china and bric-a-brac for sale; Helen and Amber took on the task of selling the huge pile of clothes; John and Dean, inevitably, toys and games and Alan and Paul, the many varied books that were donated. Terry acted as chief barker and with his slick ‘barrow boy’ style, he gathered the crowds, making sale after sale as he did so. Chloé Winter, Corporate Development Manager at St Helena Hospice, paid a visit to the team during the morning to spur them on and bring along some items to add. She was impressed by the number and quality of the things Codair had gathered for sale and stayed a while to help sell them and add her support. As time wore on special offers were introduced to move as much as possible. 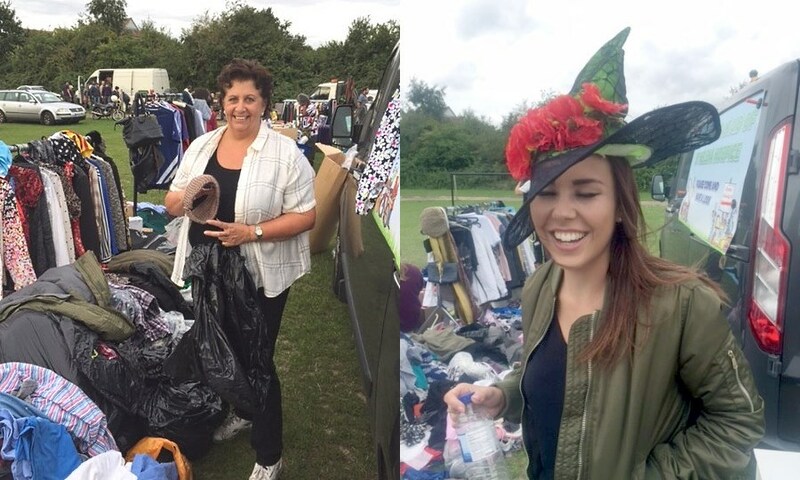 One shopper bought a whole pile at knockdown prices to add to her own stock for a forthcoming sale in aid of the Essex and Herts Air Ambulance. So, it was pleasing to note that we were helping not just one but possibly two charities that day. Fortunately, during a changeable week, the weather was kind to all during the morning, buyers and sellers alike, ensuring there were plenty of punters and the stock stayed dry. But as the team were packing up at around 12:45pm, the storm clouds were gathering for what proved to be a stormy afternoon. By the time the rain started, everyone was home and dry and delighted by the success of the sale. In all, just over £1,000 was raised – a great way to kick off our contribution to this year’s Birkett Long £50 challenge for the Hospice. 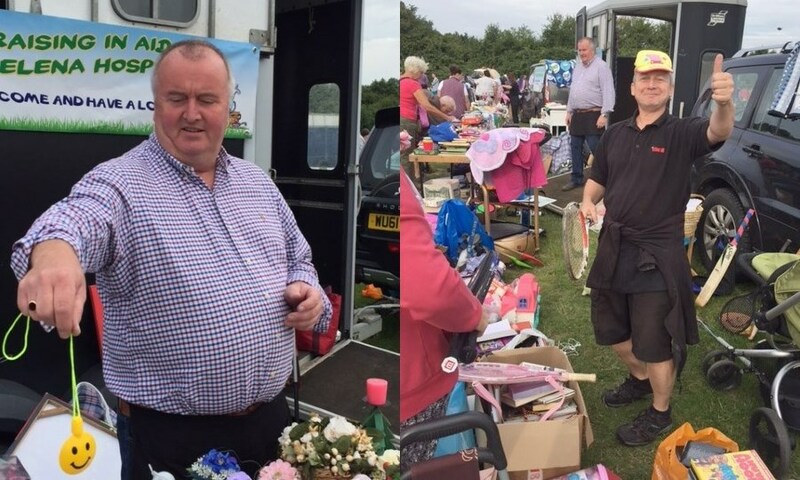 If you missed your chance to support us at the boot sale, you are welcome to come along to our charity car wash on the 19th August, from 9:00am ‘til 2.00pm. Bring your dirty cars to be cleaned inside and out by our elite team. A wash and dry will be just £7.00 but for only £3.00 more we will also vacuum clean the inside too. Find us at Regal Works Fordham Road, Colchester CO6 3NS (Codair Design & Publicity Ltd on Google Maps or just put CO6 3NS in your sat nav). 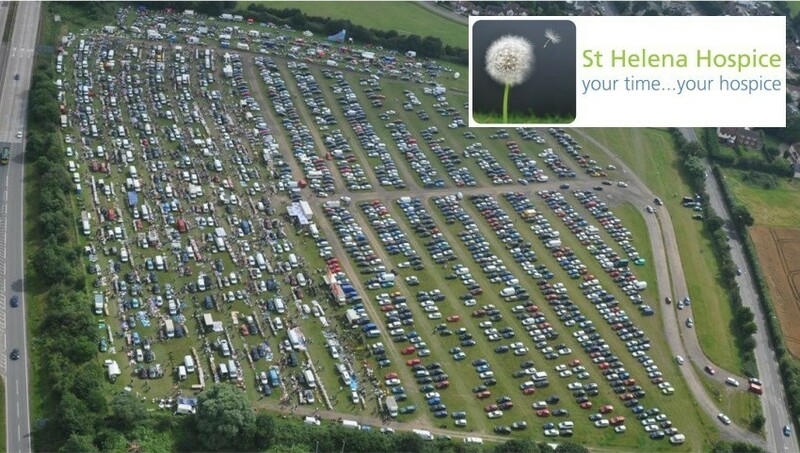 100% of the proceeds will go to St Helena Hospice.